Caption: The Hogfish is a species of fish (Lachnolaimus maximus) that is a member of the wrasse, Labridae, family. 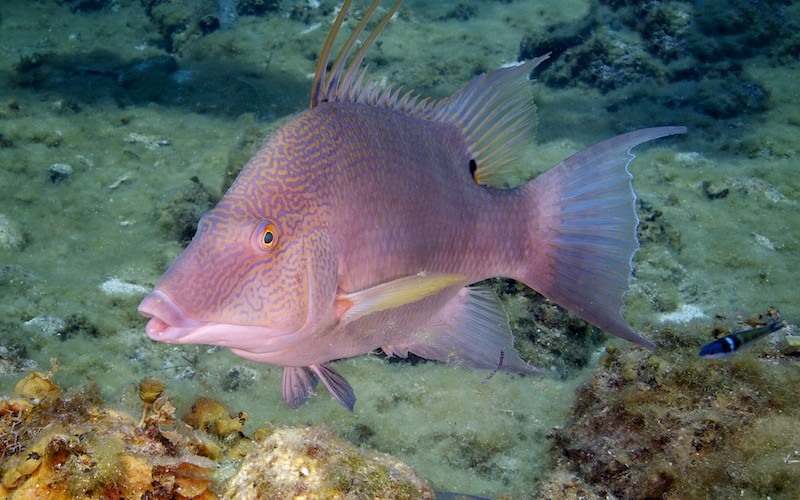 The hogfish is one of the larger species of wrasses and is found in the western Atlantic Ocean with a range from Bermuda, south through the Caribbean Sea and northern Gulf of Mexico, continuing to the north coast of South America. Hogfish are very abundant in the Florida Keys and are a valuable economical important species among fisherman.